Please note that candidates have to download the Admit Card by visiting the official website of DSC and not to be sent by post. 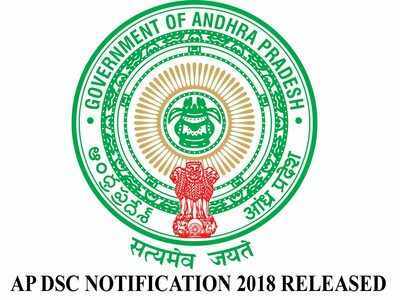 After downloading the admit card for AP DSC Notification you can take a printout & carry along with you during exam time because candidate is not allowed to enter the examination hall without Admit Card. If candidate can lost their Admit Card before exam there is also provision to download the duplicate admit card to apply for Sarkari Naukri DSC. You can also check the DSC Result by visiting the official website. 14th & 26th December 2018.